To-Pay or Freight on Delivery (F.O.D. ): For this product, the "courier or freight charges" of the consignment are collected from the consignee at the time of delivery. We offer the facility to collect freight service charges of the consignment from the TO PARTY (consignee) at the time of delivery. FOD ( Freight on delivery) facility. Option of paying at the time of delivery. Option of paying the freight at the time of delivery. Swastik Carriers is one of the Reputed Transportation Company with its Head Office located at prime location of Delhi. We are a Noted Service Provider rendering safe and reliable transportation services via road to a diverse group of customers throughout the country as we are committed to total customer satisfaction. 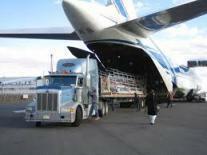 - FOD (Freight-on-delivery): Option of paying at the time of delivery. Freight on Delivery (FoD) is a service that let's the shipper send a consignment at no cost as the charges will be collected from the receiver. FoD service is available at a nominal charge levied to receiver along with normal freigth charges at the time of delivery. Fast & On-Time guaranteed delivery of consignments, ensuring personalised care during journey. Mass Express Cargo Pvt. Ltd.
Jaipur Golden Tpt. Co. Pvt. Ltd.